Thảo luận trong 'ENGLISH' bắt đầu bởi Matt, 10/11/18. If you want to be able to produce exceptional results with your video editing, then you need a fantastic monitor. Monitors come in all shapes and sizes: what is the best monitor for video editing? Whilst answering that question, we will give you some pointers and best practices for video editing success. After all, even with the best monitor and computer setup, you still need to polish your video editing skills if you want to achieve fantastic results. Above all, video editing is about being able to communicate the story you’re trying to tell in the best order and flow possible. Clarity, good image quality and resolution, along with a balanced contrast and ambient brightness are ideal for video editing results. And all these can be achieved by investing in a great quality monitor. So, without further ado, here’s out list of the best monitors for video editing. Here are some of the latest high end HD monitors from manufacturers like BENQ, LG and Acer. The standard of product is very high and, even in the budget models featured, the display is very pleasing and of excellent colour and sharpness for video editing work. This monitor is an impressive 27” 4K screen with a great price point. It has a 5m/s response time and supports a 4K resolution of 3840 x 2160, HDMI 2.0, Display Port 1.2, sRGB and good tilt controls. This is a great value 4K HD monitor which won’t break the bank, but will give you ample display resolution and function for video editing. It’s well built, aesthetically pleasing and the display looks clear and bright. If you have slightly more money to spend, the LG 31MU97 is also worth looking at – LED and backlit and 10 bit colour depth. However, this all depends on your budget because prices get expensive quickly. 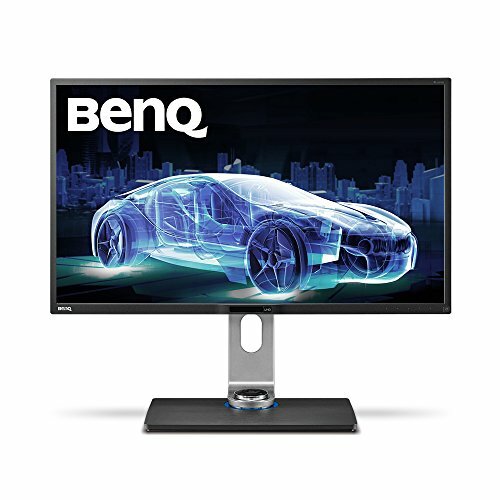 I personally have a BenQ monitor, they are bright and clear high quality displays. I have had no problem with others like Asus and Dell, however BenQ seems to have better color and somehow more character to the display. The image has a lot of life and personality, the colour balance must be more refined or something. These displays are certainly worth your time. A little more expensive, but after crossing that price point threshold, I would say very much worth it compared with competitors. Great adaptor HDMI, DVI-D, display port and even mini-display port. Response time here is 6.8 m/s, not as good as the LG. But when used regularly, it’s not that noticeable. This is a 4K LED monitor, sRGB and with up to 1 billion color palette support! The display is very clear, vibrant and dynamic. Standard 4K resolution 3840 x 2160, flicker free technology and even a blue light mode, which has been proven to sooth tired eyes. Ideal for extended use at deadline time! There is a later PD3200U LED model, but you will be looking at 30% plus on the price point, so again this depends on your budget. This Acer is a solid all round offering. Nothing flashy looking here, though. However, with a 3840 x 2160 UHD display, this monitor ticks all the boxes. With a 1m/s response time, this Acer monitor has razor sharp performance. Not only that, but this model comes in at a really attractive price point for those on a budget. Which means other money can be spent elsewhere. The standard HDMI, DVI-D and Display Port connectors are available at 60Hz refresh rate and a 4K resolution of 3840 x 2160 at M2 brightness, which is overall very good. On a high quality metal stand, this HD monitor support AMD FreeSync and again offers ‘blue light mode’ technology options. The monitor possesses a handy little mini jack for music output when used with HDMI which is ergonomically very helpful. This monitor maybe plain, but it has a high quality build and is packed with useful performance and features. Some users have reported a few problems with the monitor push button system. It works as it should, but is a little frustration. However, unless you’re working across multiple industries and have output settings to continuously adjust, I can’t see this being a big problem. 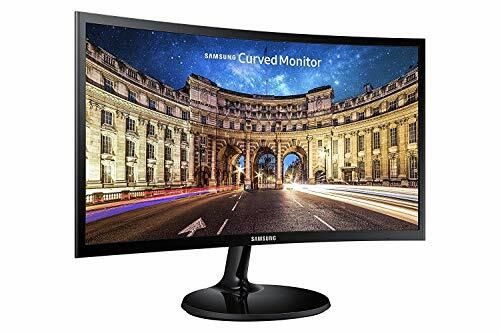 This Samsung monitor comes in at a super attractive price point. This 27” display has a lot going for it. Samsung are known for their great TV and display products and have a lengthy history making well performing electronics. The curved display adds a touch of class, supporting HDMI, DVI-D and Display port connectors. 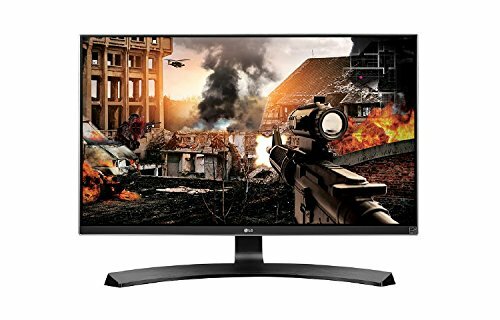 Not reaching the 4K level at a resolution of 1920 x 1080, I would have to choose this monitor for the budget option. Yes, it’s not a 4K monitor, but it will certainly fit neatly into the price figures of those on a budget. However, the quality and clarity of this display will certainly contribute towards great video editing and it’s very aesthetically pleasing all at the same time. 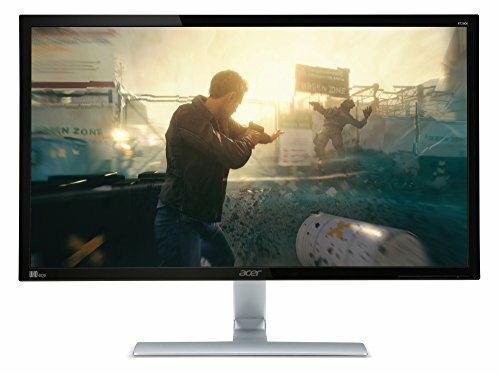 AMD FreeSync is available. With a 6.7 m/s refresh rate, it’s a little slower than the others, but the actual display is full bodied and has great brightness and clarity. This display has a place here and is certainly usable and sits at an incredible price! 4K is just about reaching the mainstream these days. 1:1 scale editing and even some good HD bargain monitors get good value results for your video production needs. A further advantage of 4K is that it is similar to having a multi-monitor display, because the resolution is so high. 4K starts at 2160p (3840 x 2160), at a 16:9 ratio – so you can happily run to 2, 3 and at a stretch 4 application windows at a time. Great for video editing! Looking at these advantages, 4K is the future of video editing. Already incorporated by the industry, so if you’re getting serious with your video editing, I would seriously consider a 4K resolution monitor. With 4K, there are two competing standards similar to the old Betamax and VHS videos / Microsoft & Apple, etc. The usual cross technology competition, which, believe it or not, is good for consumers because it keeps the prices low. Resolution here is 4096 x 2160 and an aspect ratio 256:135. This is the standard for the film industry. We are video editing so this makes perfect sense. This second option is more 16:9 friendly, at 3840 x 2160. It doesn’t sound as good, but to be honest there is little difference. And if you’re one a budget, it starts to make more sense. So which version you choose is up to you. As always it’s somewhat budget driven. Industry standard would be nice. However, it isn’t essential by any means. Depending on which graphics card you have will mean which monitor connection is usable for your system. The main three are DVI-D, HDMI and display port (1.4 current). DVI is the oldest technology supporting a resolution of 1920 x 1200 and has been around for about 10 years. It is the standard for most mid-range monitors and supports 60Hz refresh rate over a TMDS data method. It’s tried and tested (and stable), but falls short of 4K ability. High Definition Media Interface cable is the home standard used by most modern HD TVs. It has a resolution of 4096 x 2160 at 24Hz and a data transfer rate of up to 18 GB/per second. 4K supported, now the standard for most output TVs and most displays at Ultra HD. Display port is a relatively new connection type, originating from Apple Thunderbolt with 4K support (3840 x 2160), with 17.28 Gbps data transfer that will support up to 8K! Sounds impressive, but it’s now on the high end products like Apple systems and 1080 GTX or Titan standard graphics cards. For video editing, 27” is the lowest you want to go for in size if you’re looking to achieve professional results. However, when you’re talking about 4K, the resolution enhances the real estate or working area of the monitor. Anywhere between 27” to 40” is ideal. You can get away with 23” as a working display, but it starts to feel a little cramped and can inhibit you somewhat. If you want to play it safe, go for the LG. It covers all the requirements at a very agreeable cost. If you can live with standard HD (and not 4K), the Samsung model mentioned here offers unbeatable value. Although the refresh time and resolution is somewhat lacking. My personal favourite is the BenQ. Remember, being a video editor, you will spend a lot of time around this device. So it’s worth choosing a model which will encourage your performance rather than being a chore. The blur light option is well worth seeking out. Again, due to extended use any protection against tired or sore eyes in a bonus, having to sit in front of the display for long periods during those deadline calls. You could even justify x2 Samsung monitors and still be just below the BenQ price, giving you twice the space to work with. But you must check your graphics card supports multiple monitor output ability. Because the industry standard monitors are coming in at a pretty steep price point, I deliberately shied away from the Apple monitors. If you’re a graphics house and can afford the price tag, then you can obviously pick a product without price being a factor. I genuinely believe for most small business individuals and production companies, the monitors featured here will give you professional results for a fraction of the price of some of the more pricier options out there. The post Best Monitor for Video Editing: 4 Top Monitors For Video Editing appeared first on Filmmaking Lifestyle.